MasterRents is a locally owned rental company offering heavy equipment and a mini excavator rental, Massachusetts. Our wide variety of equipment is available for rent by the day, week, or month, according to your preference. MasterRents has over 100 pieces of equipment and we offer delivery at reasonable prices. We are located in Danvers, Massachusetts, and MasterRents is part of the Cat Rental Alliance Program which opens the door to a wide variety of superior quality equipment for all types of jobs. 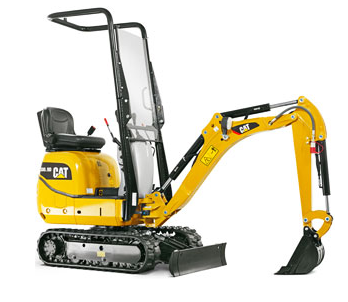 We are a premier option, whether you are looking for a mini excavator rental in Massachusetts, or something entirely different. Our variety of heavy equipment rentals will be sure to satisfy your jobs requirements, and they will be affordable with our top-of-the-line rental prices. When it comes to a mini excavator rental in Massachusetts, we are confident that there is no better option when it comes to quality and affordability. Mini excavators are a very popular piece of rental equipment in today’s day and age, and MasterRents is fully stocked with these machines. Our fleet of mini excavators includes sizes 302.5, 303.5, and 304’s. We also carry the smallest of mini excavators the 300.9. MasterRents not only provides our customers with the latest mini excavator rental options, but we provide you with the attachments as well. Contractors and homeowners use mini excavators because these machines are so versatile, you can do just about any type of construction work with them. Mini excavators are used mostly in construction areas that have limited movement and tight quarters, such as construction in urban areas. When you need a low profile tool that will still be highly effective, our mini excavator rentals provide Massachusetts with a top quality, affordable option. If your next construction project consists of digging up areas around water pipes or underground utilities then rent a mini excavator from MasterRents. Our mini excavators are also equipped with exhaust scrubbers for use inside of buildings. These versatile machines are a blessing to have at your disposal when you need to work in tight quarters, and there is no question that they can help when you need a hand in a certain type of construction project. When you are in need of a mini excavator rental, Massachusetts residents can call upon the team at MasterRents to provide easy access to top quality, innovative tools to help get the job done. If you need the work of an excavator, but have a limited amount of space to work with, a mini excavator rental in Massachusetts from MasterRents is the way to go. A mini excavator rental in Massachusetts can help make the seemingly impossible, possible, when it comes to construction projects. We provide top of the line equipment for rent, coming from the top brands, and highest quality models, in order to make your construction job a cinch. Alongside our services for a mini excavator rental in Massachusetts, we also offer some of the area’s best deals when it comes to equipment for sale. For those who are more interested in owning a piece of heavy equipment, rather than renting, MasterRents offers a wide variety of options. Not only are we top experts for rentals, we also offer equipment to buy that will suit your variety of needs. For the best of the best in both heavy equipment buying, and a mini excavator rental in Massachusetts, look no further than the services of Al Garber and the team at MasterRents. MasterRents located in Danvers, MA, is a locally owned rental company with an ever growing fleet of new and late model heavy equipment. MasterRents is also part of the Cat Rental Alliance Program which gives us access to the full line of superior quality Caterpillar Equipment. MasterRents has a full time salesman Al Garber to assist with all your rental needs. Al has been in the equipment rental industry for over 20 years and is a customer service driven professional. If you would like to contact Al about rentals you can do so via email at AlGarber@MasterRents.com or by cell phone at 978-880-2727. All of our equipment is available for rent by the day, week or month. MasterRents looks to focus on the growing need for short term heavy equipment rentals with a focus on customer service. Our knowledgeable staff can help you with any questions you may have about excavators or any of our other pieces of rental equipment. We believe that our strong commitment to our customers and their satisfaction is one of the main reasons why we have been so successful throughout the years as a mini excavator rental provider in Massachusetts. MasterRents offers short term rentals at reasonable prices; please contact us at 978-762-RENT (7368) to ask any questions or for more information about our offerings. At MasterRents, we look forward to serving all of your mini excavator rental needs in Massachusetts, large or small. MasterRents is here to help you with any questions you may have about a mini excavator rental Massachusetts, or any of our other pieces of quality rental equipment. We have a full time salesman as well as a knowledgeable staff that are ready to assist you with any questions or problems that you may be having. We are committed to providing an excellent customer experience for anyone who takes advantage of our rentals, and you can count on our team members to assist you with getting the right tools for any project that you might undertake. We take pride in being a premier option in the area for anyone looking to rent or purchase any type of heavy equipment. We are not simply a company who will sell or rent out our equipment to you, rather, we are a caring local expert who will help you through the process of finding and accessing the right tools for your particular job, including a mini excavator rental in Massachusetts. MasterRents offers short term rentals at reasonable prices; please contact us at 978-762-RENT (7368) for more information. We look forward to serving all of your heavy equipment needs, including a mini excavator rental, Massachusetts residents.